Home has become the most important source of comfort for many people. Rarely have people invested so much money in furniture and decorating. 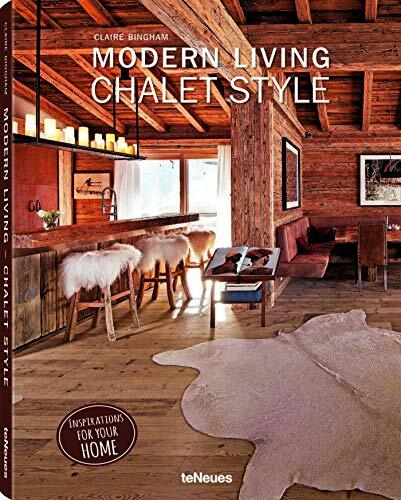 A comfortable home furnished with natural materials, warm colors, and soft textiles, a place that exudes a ski-vacation feel "Modern Living Chalet Style" shows you how to bring that look into your home. It s hard to find another style as elegant, yet cozy, as this one. Whether you use antiques, natural finds, artwork, or designer pieces to implement it, the chalet style is very flexible and can range from rustic/traditional to elegant/modern. It is always inviting, whether you want to curl up with a good book or entertain a big group. The most beautiful chalet interiors will provide inspiration, and possibly make you want to book a vacation. Author Claire Bingham shares the tips and tricks you can use to create this cozy chalet feel in your own home, even if you live nowhere near the mountains!" CLAIRE BINGHAM is an interiors journalist who writes about architecture, design, and style for several publications worldwide. Before becoming an author with her first book Modern Living, she was Homes Editor for Elle Decoration UK and her work has been featured in international glossies, including Vogue Living and Architectural Digest. Scouring the globe for inspiring interiors and discovering the talents behind the scenes, she is interested in well-considered design that fits with our individual needs. Ultimately, she writes about the design and decoration of people's homes and how they like to live.